I spent three years studying and working in Hawaii. It is not uncommon to see people come to me and say “you are so lucky to live in Hawaii”. It is true that Hawaii is on the most people’s list of dream vacation destinations. However, once you decide to start a new life here, the story would be quite different. I have seen some of my friends finally make it through and stay in the paradise permanently. Meanwhile, I have experienced many people move to Hawaii with high expectations but ended up leaving after few years. I am not here to tell you how great or terrible the state of Hawaii is since every place has its own pros and drawbacks.I just want to share my feelings about Hawaii with you from an insider’s perspective, so here are 8 things I have discovered about this tropical island. Hawaii is a mini United-Nation – that means there are no ethnic majorities, only minorities. White Americans account for less than 40% of the entire state population, and most of the local residents are Asians. That does not mean Hawaii is a racial state. However, most Asians fit right in, making a lot of international and local friends and even elected as state governor. 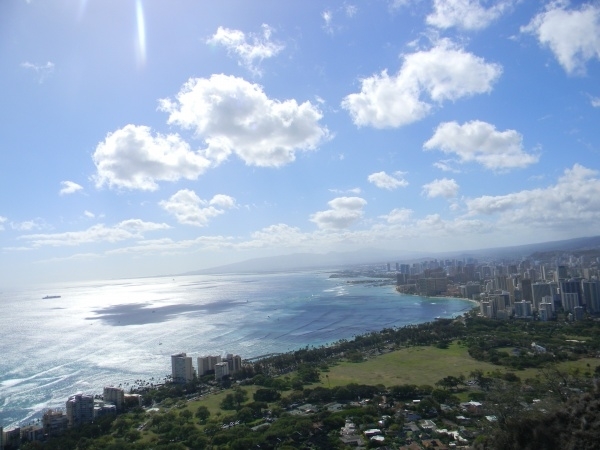 Oahu is not only an island; it is a community – After two and half years live in Oahu, something interested happened – When I attended a party and struck a conversation with a new person I met, we can find at least two to three mutual friends. Believe me, this happens 80% of the time when comes to any social events. Hawaii is a small island, since everyone ended up gain a massive interpersonal connection. 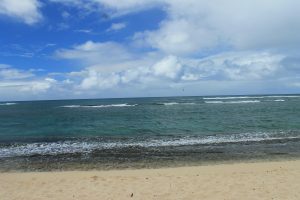 World’s prettiest beaches do exist in Hawaii, but you do not go there as much as you think – my friends jealous of me moving to Hawaii because they assume I go to the beach every day. They deem that my days are filled with turquoise oceans, swag palm trees and warm sunshine. The truth is I still spend my day sit at a desk in my office and finish my daily assignments from 8am to 5pm just like you. We hit the beach sometimes, maybe two to three times a month, or once in two months. We prefer Lanikai Beach and North Shore over Waikiki, and sometimes we have barbeques or potluck on the beach. The bottom line is when you live in Hawaii for quite a long time, you start taking beaches for granted. It is rare to have your friends visit you every year – Hawaii is thousands of miles away from the rest of the states in the US or any other places in the world. It takes five hours or even longer to reach Hawaii from the nearest state California. If you have any international friends, try to ask them to come and visit you, and the answer you expect to hear most of the time is “the airfare to Hawaii is almost equals to the one fly back to my homeland”. Hawaii has highly limited job opportunities – There are not so many job markets in Hawaii. If you are fortunate enough to get hired, do not expect your job to be permanent. Even if you secured a long-term position by hard working, you are earning the states lowest income for living in the most expensive state. Additionally, the job market in Hawaii is fiercely competitive, about 80% of the jobs require candidates proficient in second language to apply. Unless you own a business yourself, my advice is do master your second language skills before start job hunting in Hawaii. It rains a lot on Oahu – My tour guide told me once Waikiki rains three times a day but every time the rain lasts for 5 minutes only. However, if you live in Kaneohe, Manoa, North Shore, or Kailua, you will discover it rains way more than that in Waikiki. Sometimes the sun and double rainbows appear after few minutes of pouring. When winter comes, the windward side usually rains non-stop for about a week, and everything rusts or get flooded after a long-term downpour. 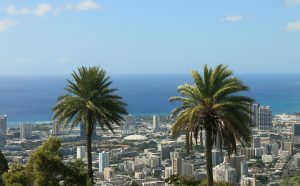 Hawaii is a paradise on earth, but not a heaven – Like everywhere else in the world, traffic, crime, and prostitution still occurs everywhere in Hawaii. There are some rude and nasty people on the island, and the state government still working on the homeless issues. Although the weather in Hawaii is believed to be perfect, people still get sick or feel chilly sometimes. People who lived in Hawaii for over a year realize that Hawaii is just a commonplace. No matter how much you love Hawaii and how much sacrifice you made for being in Hawaii, you still need to deal with many daily issues and continue move on. Some people end up leaving Hawaii after a few years, but then they still miss it! I have many friends tried studying and working in Hawaii and ended up leaving after a few years. However, most of them still tell me how much they miss Hawaii, no matter how frustrated their life was when they reside here. I encountered some moments of hopeless and frustration in Hawaii as well – struggling with class projects, looking for jobs, failed the job interview, and got furloughed. For those of you who make it or plan to move to Hawaii and ready to start a new chapter of your life, be positive and do not quit or give up easily on this place. You will truly miss Hawaii for life after you left and you will feel lucky for those who still remain in Hawaii. It has been eight months since I left Hawaii, but I still cannot get away with this place. I have made many international friends, learned lots of valuable life lessons, and have many unforgettable memories in this beautiful island. Hawaii is my second home now. Wherever I will end up in the future, I will always have an Aloha state of mind stay with me. Being born and raised in Hawaii then moving to the mainland for college I know exactly what you’re talking about. And also much like you, I still consider Hawaii home no matter where I am and how long I’ve been away. Great post.